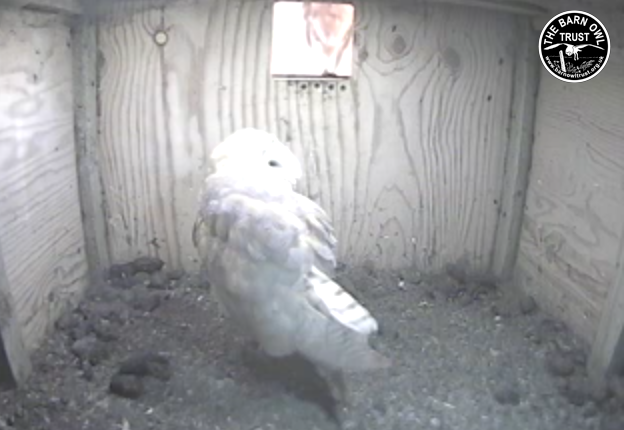 Great to see them back again this morning. She is rasping in the box. 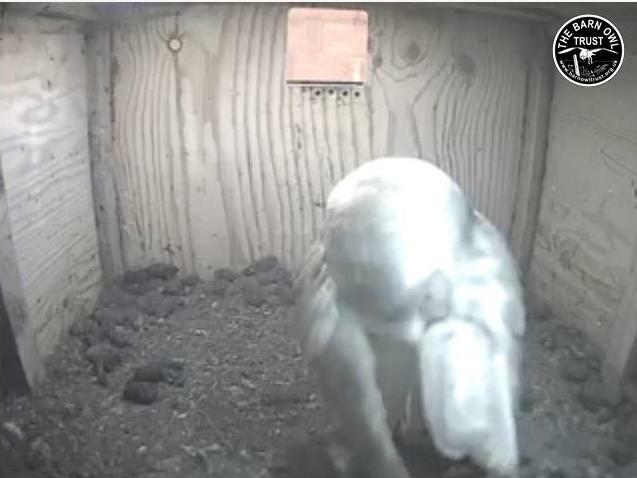 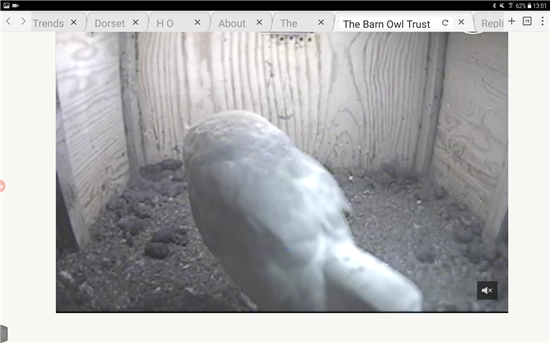 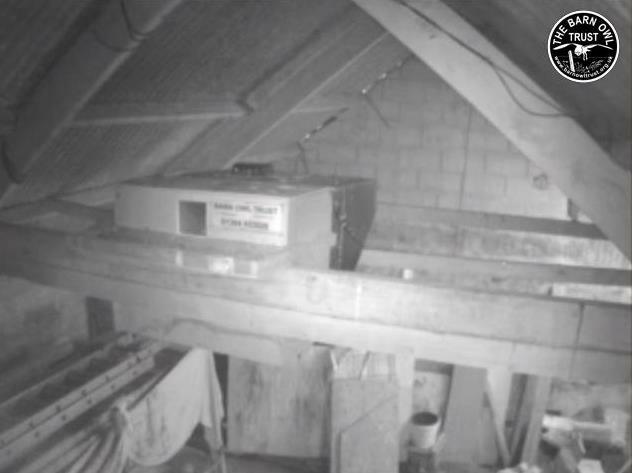 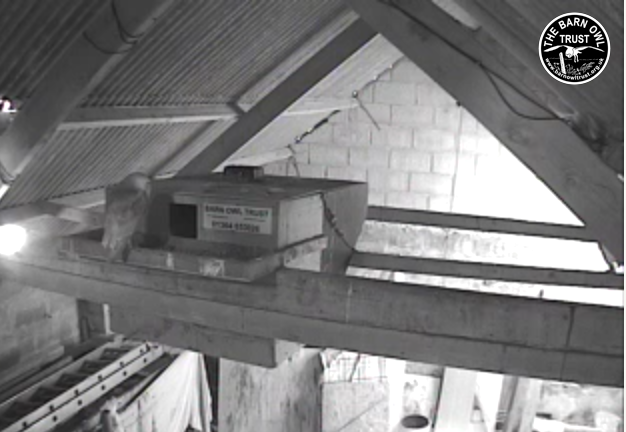 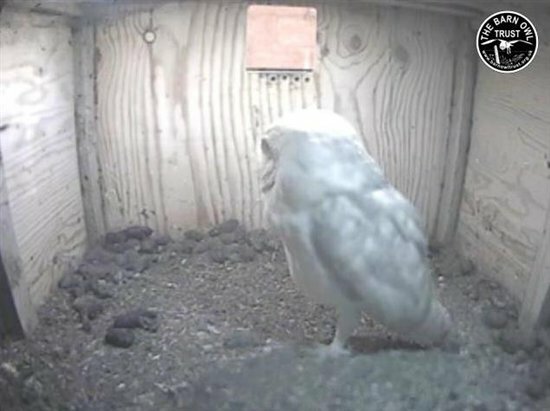 A few mins ago she was in box and then gone, and barn cam still frozen, but then scapped her over on the beam and him on the Tray. she comes to front beam and he moves further over on tray. 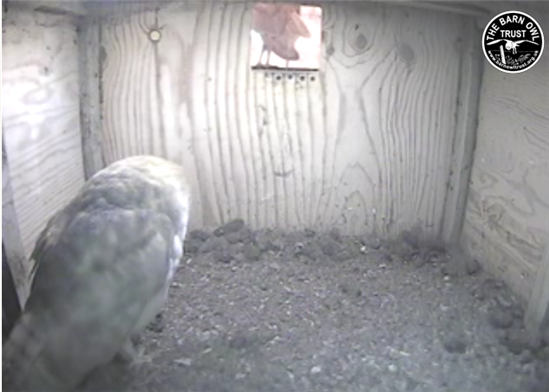 Hi you two ... looking goid! 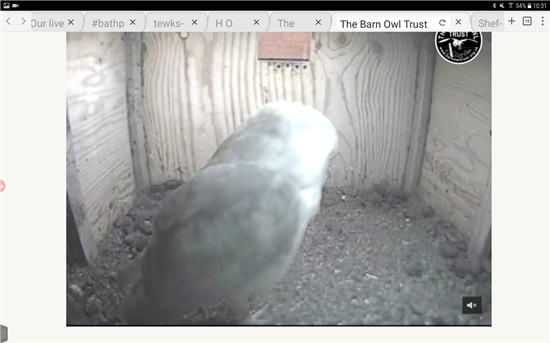 Thanks, Everyone, for posts and pics--things are looking very promising! 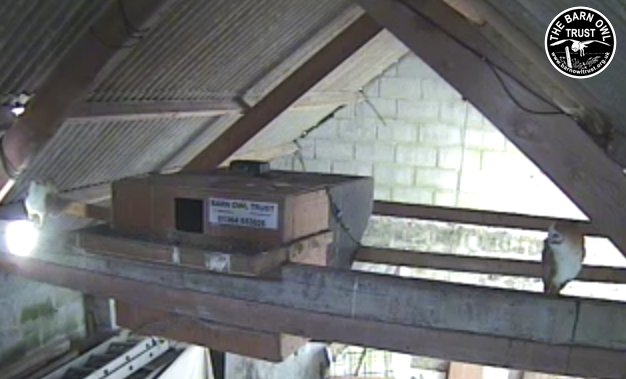 Sorry for the evening report starting a bit late, we've had to re-nest a young sparrow who had left a couple of days too early! 22:40 Silence and no sighting of a BO. 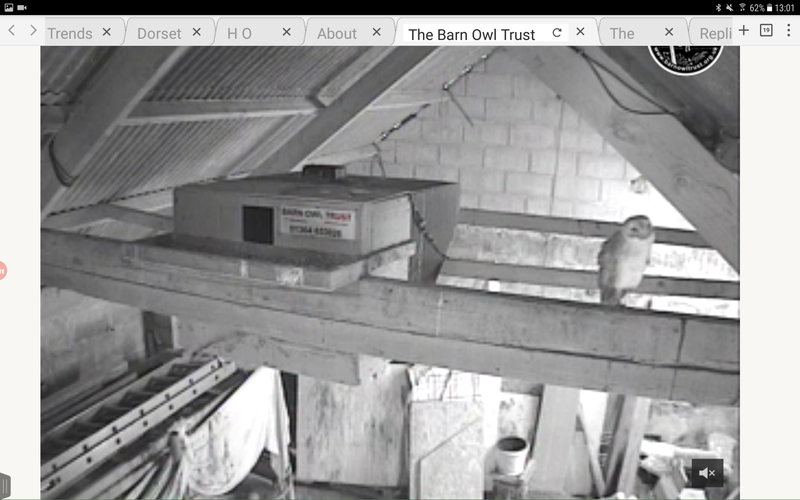 Still there, nowt in barn!